Since the latest release of iOS 9.3, a great many of Apple fans rush to upgrade their iPhone or iPad. However, once upgraded, many bugs will occur in the system, such as crash, unstable restart, insensitive touch, disconnection of wifi and more due to the mismatch between the new version and the iOS device system, thus they will complain excessively about the newest system before long and can’t wait to restoring to original system. I’ll show you how to downgrade briefly below. 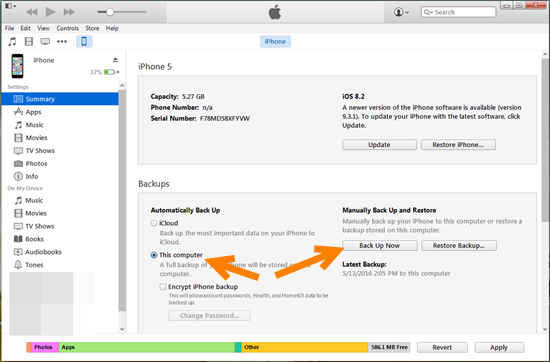 For a start, you need to make a backup of your iPhone/iPad via iCloud or iTunes in case of any data loss. 1.Connect your iPhone/iPad to Wi-Fi network. 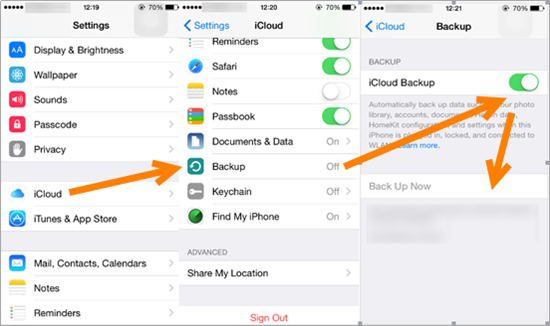 3.Make sure that iCloud Backup is turned on, Then tap “back up now”. 1. Launch iTunes and connect your iPhone/iPad to computer. 2. In iTunes, select Backup to this computer, then click “Back Up Now”. 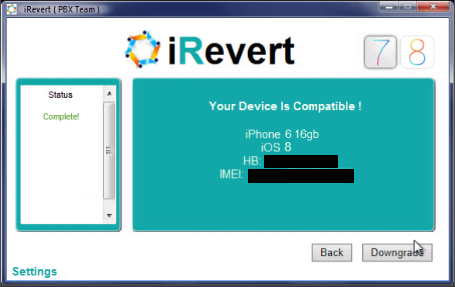 iRevert is one of a handful software that allow you to successfully downgrade from iOS 8 to iOS 7.1.2 without itunes, being jailbroken or loosing data. Devices supported: iPhone 6&6 plus, 6s, 5s, 5c, 5, 4s; iPad mini & air, etc. Step 2: Select the iOS version you would like to download to, then click “Next”. 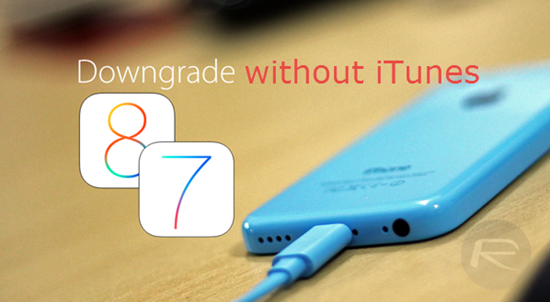 Note: It will take a longer time if you choose to downgrade to iOS 7. Step 3: You’d better select “Partial” If your iPhone/iPad have been jailbroken before, or you are recommended to choose “Full”, then click “Next”. Step 4: Connect your iOS devices to be detected by pc, then click “Sync” to check the compatibility. Step 5: After detection, click “Downgrade” to start downgrading. Note：It will take for a while, and do not disconnect your iOS devices to PC during the process of downgrade. Tips: What If you forgot to backup your iPhone, iPad or iPod touch and unfortunately lost data after downgrade? Don’t worry, Jihosoft iPhone Data Recovery is capable of retrieving photos, videos and other types of data from your iDevice directly in a few clicks.